Wow! Its been a busy start to Summer for the crew at Rivers Edge Outfitters. Thanks to all of our great customers for fishing with us and stopping by the shop. We have been running tons of guide trips, and maybe fishing a little ourselves, over the past couple of months and thought it was about time to post up a fishing report. 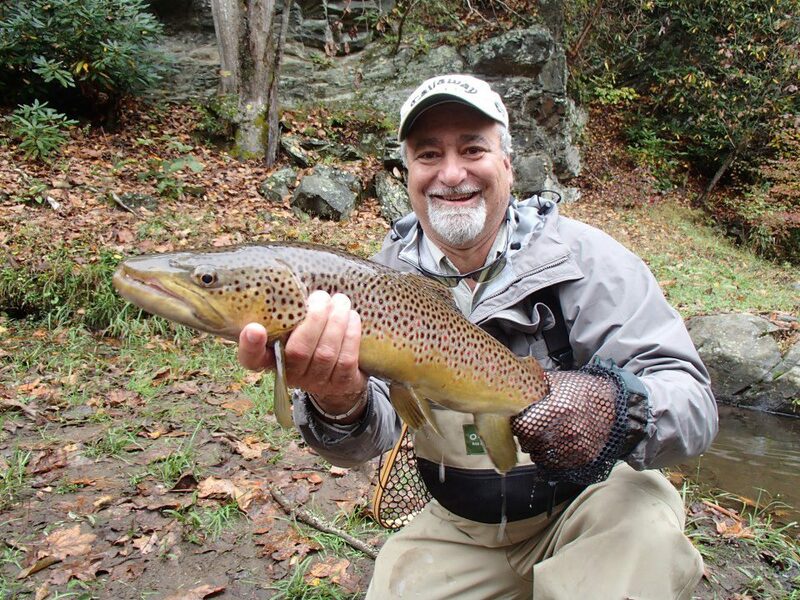 REO has been guiding and fishing quite a bit lately on the Lower Nantahala Tailwater section, Soco Creek on the Qualla Boundary, Great Smoky Mountain National Park streams, and chasing bronze backs on the Little Tennessee River and Cheoah River. All the streams have been producing great numbers of fish. As we all know in the summer season in the southeast brings low and warm water, which does not match up well to fishing for trout. 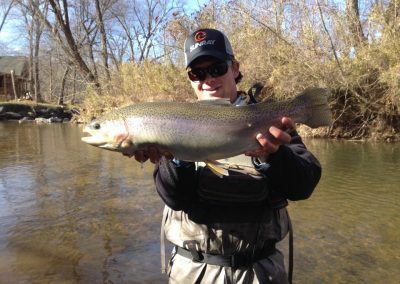 When fishing for trout seek out higher elevations streams or tailwaters with consistently lower water temperatures than our larger rivers and lower elevations streams in the area. On the other hand, if smallmouth bass are what you are after, turn no where else than the Little Tennesse River, or Cheoah River. They are both packed full of hard fighting smallmouth bass, a few spotted bass, and largemouth bass roam the streams as well. The Little T and Cheoah are both consistently producing 40 to 50 bass per trip right now. The Lower Nanti is one of our favorite streams in the Cherokee area. If your looking for piles of wild fish that will eat any good presentation of a fly, then the Nanti is the stream for you. 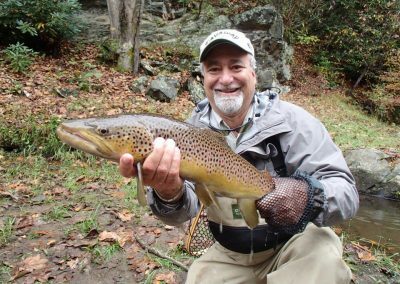 The lower Nantahala water temperature is steady year around and runs about 50 to 55 degrees during the summer months, which is heaven for a trout and the bugs they like to eat. During the summer months Duke Energy releases water for recreational purposes from 9am to 5pm. Anglers can fish the lower portions of the river around the NOC (Nantahala Outdoor Center) and the swinging bridge area until about 11am to 11:30 am before the rivers begins to rise in the mornings and the white water rafting and kayaking begins. The fishing in the morning is a little more technical than other times on the river due to it being the lowest level the river will be flowing for the day. In the evenings when the water release is stopped at 5pm, starting at Pattons Run and working down to Fairbee Park with the water receding is probably the best fishing of the day on the Nanti. Using small tippet is the way to go on the lower Nanti. Use 6x Nylon tippet for dry flies and 6x fluorocarbon for nymphs. Fly choice is abundant however, due to the mass amounts of different species of bugs in the river. REO has been using copper bead and silver bead waltz worms, tungsten torpedoes, copper bead PTS, Squirmy Worms, and some golden prince nymphs pretty much all day long. For dry flies, Yellow Stimis, Yellow Sallies, Tricos, and Yellow Caddis have been our go to’s. 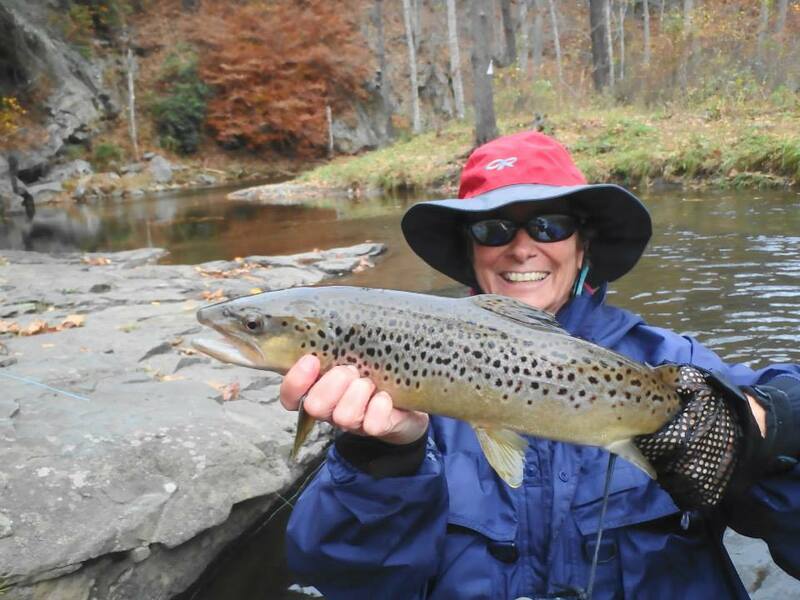 Straight Fork, Deep Creek and the Oconaluftee have all been producing good amounts of wild trout lately. Stick with your natural patterns and a few terrestrials this time of year and you will have luck in any of these streams. Stimis, Sulphurs, Yellow Sallies, Ants and Hopper dry flies have all been producing fish on the surface. For nymphs we have been using, flashback PTs, Inch Worms, Squirmy Worms, Soft Hackle hares Ears, and a few different yellow sally nymphs. Dry-dropper set ups are the way to go in the fast shallow water, and single or double nymph set ups are working very well in the deeper pools. Can you say smallmouth bass??!! Absolutely by far the best fishing in the summer is for smallmouth bass. REO loves the strength and aggressiveness of smallies. The Little Tennessee River can be floated or fished by the wade fisherman, and the Cheoah is limited to the wading fisherman only. Both streams are prime bronze back rivers and produce high numbers of bass each trip. For the fly angler imitating crayfish, small shad and shiners, and hellgrammites works very well. One of the best hellgrammite patterns we have been successful with is actually a stonefly nymph pattern called a Pats Rubber leg, which also a great trout fly. Clouser minnows, gummy minnows, game changers, and lost of other streamers will produce smallies on the fly when fished with a sinking line. For deeper runs, full sinking lines work well and in the ledges and on the banks intermediate lines work the best with streamers and crayfish patterns. In the early mornings and late evening when the sun is off of the water poppers work very well, such as boogle bugs. Once the sun hits the water the fish move deeper and need to fished for with heavier flies near the bottom of the river. For the spinning angler about all you need is a pearl or white fluke minnow in smaller sizes. Two inch to Three inch flukes work the best. When the water gets stained chartreuse flukes work very well. In the mornings use the flukes unweighted and fish them near the banks of the river and around shallow ledges, allowing the fluke to sink slowly and then jig it back up slowly, and just wait for the aggressive eat from the smallie. When the sun hits the water add some weight to your set up to get the flukes deeper and you will catch fish in the deeper slow pools and around cover and ledges.